A bullet slams into a wall just past Shelby’s head. A drug dealer offers him $10,000 for information regarding his dead sister. The local sheriff has Shelby in his sights. It’s just another day in the small town of Serenity. Readers of David Archer, John Sandford, Dustin Stevens, and Robert B. Parker will love this new series of suspense thrillers. Reviewers call Serenity “fast-paced,” “masterful,” “fantastic,” and “superb.”Set in Serenity, Michigan, the Shelby Alexander Thriller Series stars an aging ex-boxer and retired fixer whose activities flirt with the wrong side of the law. Shelby moved to Serenity, his boyhood hometown, looking for a slower pace of life. 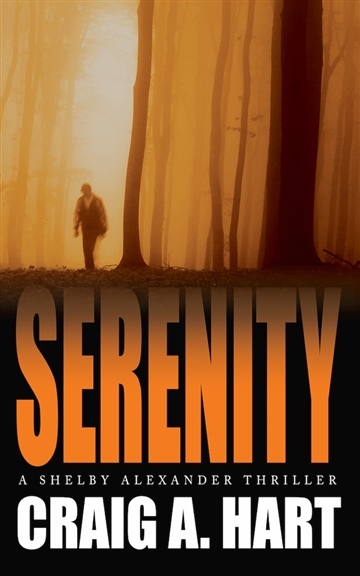 But trouble follows men like Shelby, and he finds himself embroiled in an underworld of drugs and violence that may prove to be his undoing.The first book in the new Shelby Alexander Thriller Series, Serenity is an action-packed read with a lovingly rendered cast, witty dialogue, and a main character who doesn't know when to quit.